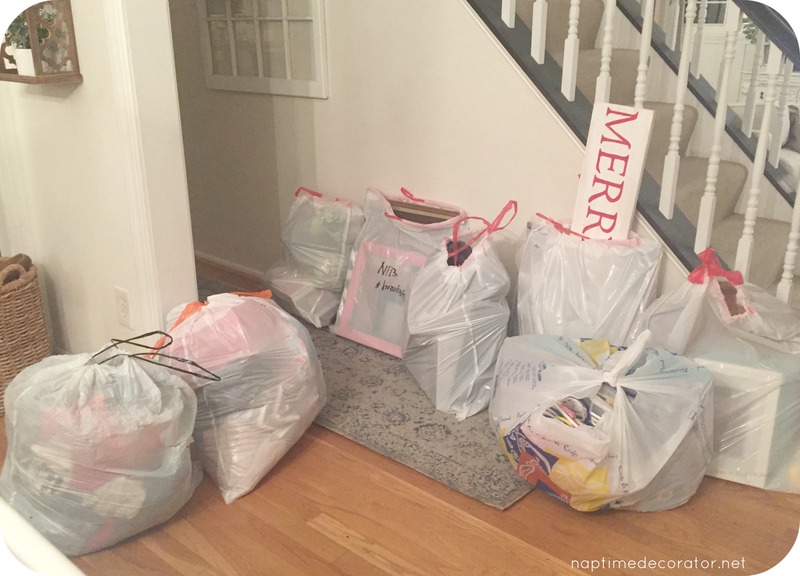 A Decluttering Update and What Has Helped Me on Quest! I wrote a post about Spring Cleaning about a month ago and it seemed to resonate with a lot of you. I think most of us want to simplify life these days and clear out the clutter in our homes – I know for me, I’m a much better version of myself when things are in order around me. 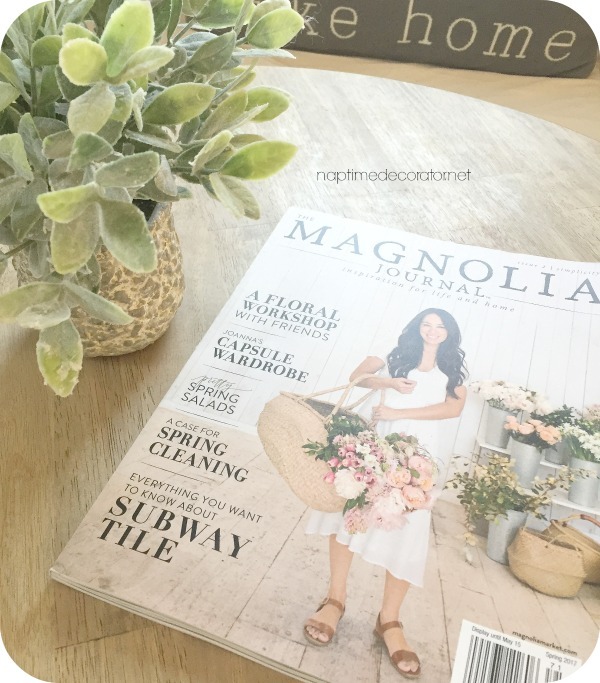 And after reading my latest Magnolia Journal, I was inspired even more. Some of you commented that you’d like to hear an update on how my journey towards simplicity and decluttering our home is going, so I thought I’d fill you in today. I have a few tips that have really helped me this time, and wanted to share what’s been working for me, in case you need a little push. 1. Start with a junk drawer. That’s how I started and it was amazing how just that one little drawer inspired me to keep going. Don’t go thinking you’ll tackle your entire house in one day (seriously – here I am a month later and holy moly, do I still have SO MUCH TO DO). 2. Pretend like you’re moving. THIS. SO MUCH THIS! This has been my magical saying – it truly has been life changing. I have friends who are in the midst of moving, and can’t believe how much they have to pack and move to their new homes – and I picture myself in their shoes. If we were moving, would I REALLY care about this item? Do I care about it enough to box it up, put it in a truck, take it to our new home, and unpack it and find a new home for it? Would I even realize it’s gone if we didn’t keep it? I’m telling you, it has been working like an absolute charm. 3. Donate the “just in case” stuff. In our linen closet we had all these spare pillows and multiple sets of bedsheets for each bed. Not to mention the random pieces that didn’t match anything. A pink fitted twin bedsheet with ZERO pink flat sheet or pillowcase? How does that even happen?? But really – we had all this stuff that “in case a friend spent the night” – you know what I’m talking about. Well guess what? When the kids have friends spend the night, THE KIDS ACTUALLY BRING THEIR OWN. So why am I hoarding 5 pillows and 87 spare sheets?! (Ok, that might be a slight exaggeration, but you get my point). I mean, if you have the room to store this stuff, great. We do not, so it’s adios extra stuff we might use once in 20 years. Or maybe it’s china that you really truly never see yourself using. Why have it collect dust when someone else might actually love to use it on a daily basis? 5. Remember how amazing it feels to not be drowning yourself in things. It is so freeing, I cannot even tell you. When I know NOTHING is under my bed, and the linen closet ONLY has items we use – and I know where things are – it is such a wonderful feeling. 7. Keep a couple of the super sweet baby items that mean a lot, and find another sweet baby to enjoy the rest. I know how hard it is to give away the sentimental stuff. But I realized I didn’t even know what I had packed away, so really, what good is that?! I kept a few things that had meaning, but lucky for me, I have nieces and nephews and good friends with babies to pass along the rest – and seeing them wearing those baby clothes brings me joy. AND clears my house! Win-win! …you can go online and use a site like Green Drop that will tell you when the truck is coming to your area and signing up takes no time at all – especially after you’ve done it once before – it’s literally a few clicks and you could possibly be having a truck pick up the very next day. It’s awesome! 10. Use local yard sale sites. Our neighborhood has a yard sale Facebook page, and sometimes there’s stuff I’ve just gotten a few months ago that I really don’t want anymore (we all know how crazy I am by now, don’t we?). So I snap a pic, load it on there, and make a few bucks. Like I said before, I’m still far (so far!) from being done, but my mindset is different this time. I really don’t want all this stuff around me – I really only want what we need and use and enjoy on a regular basis. That feeling of not being bogged down with things is so worth the work. It’s a process for sure, and I hope you’ll join me on this journey – I hope these tips help you, and would love to hear any tips you’ve found that work! Nice. I tackled a junk basket in my bathroom and threw away stuff I’ve been saving for years “just in case.” It’s incredibly liberating! I started purging in January – I do the 40 Bags in 40 Days for Lent every year – but I started nice and early this year :). And I’m so glad I did…because we just recently found out we are moving to Michigan in 3 months and the purging is REAL! Great advise to purge like you are moving! great post! here’s a question- what do you do with all the many MANY papers the kids bring home from school on a daily basis? and my kids color at home ALL the time so we have tons more art being made everyday. and clay. and paintings. i feel bad recycling them because they’re memories, but they just keep piling up. any suggestions? ok…you have not inherited your Dad’s gene! LOL It’s got to be on your Mom’s side! That makes me so happy to see that you are decluttering. It’s a wonderful feeling to be free of ‘stuff’. Keep up the great work! You have motivated me! I am looking forward to simplifying! What a job well done Liz! I’ve been a little late to the whole spring cleaning thing this year…maybe it’s because I know I have my work cut out for me! Hey, if you wouldn’t mind shooting me an email when you get a chance, I have an idea that I think you might be interested in!